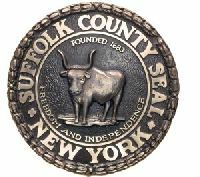 Suffolk County has a vibrant history, illustrated in our important Native American and Revolutionary-era historical sites as well as the lab where the structure of DNA was discovered. Links to our heritage remain strong in the rural East End, where traditional family farms and wineries make us the third-largest agricultural county in New York State. We also have an exciting future, as home to the scientific innovations at Brookhaven National Lab, Stony Brook University and the high-tech Route 110 corridor. Suffolk County truly has something for everyone, including world-class beaches and friendly communities, all within a short commute from New York City.